The Boy Scouts of America, Del-Mar-Va Council will be hosting a Cub Scout STEM Day with the NASA Wallops Flight Facility Visitor Center on Saturday, January 12, 2019. During the event, Cub Scouts will have an opportunity to complete a portion of the Out of the World NOVA Award. The focus will be on achieving the requirements that are more difficult to do outside of a home or Den Meeting setting. The Visitor Center will provide a variety of hands-on activities through a series of STEM stations including a Mars Rover engineering design challenges using Rigamajig and the Imagination Playground, as well as other new, hands-on programs featuring Solar System science. 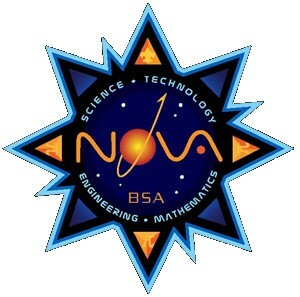 We will be completing requirements #3 and #4 of the Out of This World STEM NOVA Award. There is a maximum of 70 youth so sign up now!